The Regina Optimist Club was chartered on December 9, 1957. The club’s first involvement with youth activities was a sponsorship in 1958 of a boys’ baseball team in the Regina Pony League. This involvement continued until early 1962 when an Optimist Juvenile Baseball League started and games were played at local High School diamonds. In 1961, talks with the City of Regina officials had begun regarding the development of a park at Dewdney Avenue and Grey Street. The park was to include a baseball field, a football field and a go – cart track. The inclusion of a go- track raised the ire of the citizens in the surrounding area and threatened the idea of any park in the area. After meetings with the City, concerned citizens and Optimist Club members, it was decided to eliminate the go – cart track. Work by private contractors, City of Regina workers and Optimist members continued through 1962 and games in Optimist Juvenile Baseball League began at Optimist Park in 1963. Records indicate that the first Baseball game was played at Optimist Park on May 16, 1963. The Juvenile League continued until 1965 when the league was changed to a Midget Baseball League and continued until 1968. The League reorganized again and team sponsorships were changed to include the Regina Optimist Club (the Royals), the Downtowners Optimist Club (the Astros), the Highnoon Optimist (the Orioles) and the Regina Pacers Men`s Club (the Pacers). In1969, baseball teams sponsored by the Regina Optimist Clubs won the City Little League Championship, Provincial and Western Canadian Midget Championship and in 1971, the Regina Optimist Royals won the League title and their first Provincial Midget Championship. Improvements continued at The Park and in 1972, the Regina Optimist Club budgeted $42,000 as their contribution towards the additions to the clubhouse facilities. In 1974, the expanded clubhouse, including the dressing rooms, was opened. In 1975, a major turning point arrived when arrangements between the City of Regina and the Regina Optimist Club were concluded whereby the Optimist Club would take over the day – to – day operation of the Park including maintenance and scheduling. In1975, the Optimist Baseball Association hosted their first major championship: the Western Canada Midget Championship. 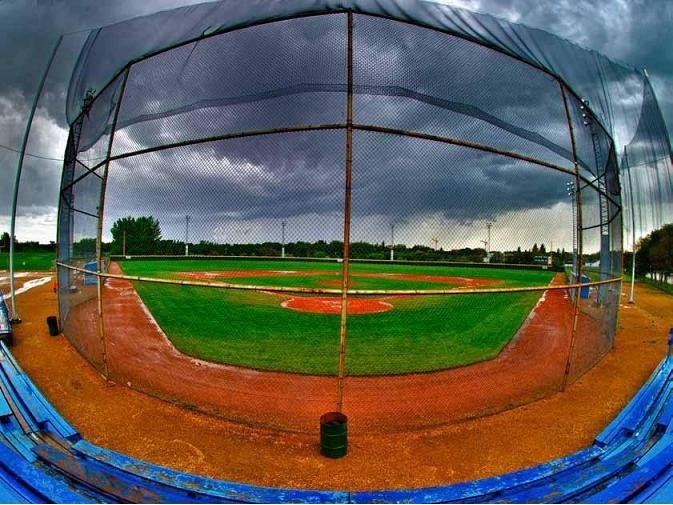 Play continued at the Park in the Regina Midget Baseball League throughout the 70`s and 80`s, with the formation of Midget A, AA, and AAA Leagues and additions of teams from outside of the city – Moose Jaw and Weyburn. In 1986, plans were developed for a major rebuild and upgrade to the Park. The Regina Optimist Club, as the major sponsor, contributed over $350,000 of a total $650,000 rebuilding cost including lights, grass infield, and new fencing. The sponsorship won international recognition for the Regina Optimist Club as Optimist International presented them with the International Community Improvement Award at the Optimist International Convention of 1987. In 1991, Optimist Baseball was awarded their first major tournament at the upgraded park – the Canadian Selects Tournament. Since 1991, Optimist Baseball has hosted tournaments of all descriptions for all Leagues Playing out of the park. These tournaments included Saskatchewan Baseball Association Senior Men's Provincial and Midget AA and AAA League, Provincial, and Western Canada Championships culminating in 2011 with the prestigious Baseball Canada National Midget AAA Championship. For the Saskatchewan Baseball, Western Canada Baseball, and Baseball Canada tournaments, OPtimsit Baseball acted as both sponsoring agency and field/park supplier. 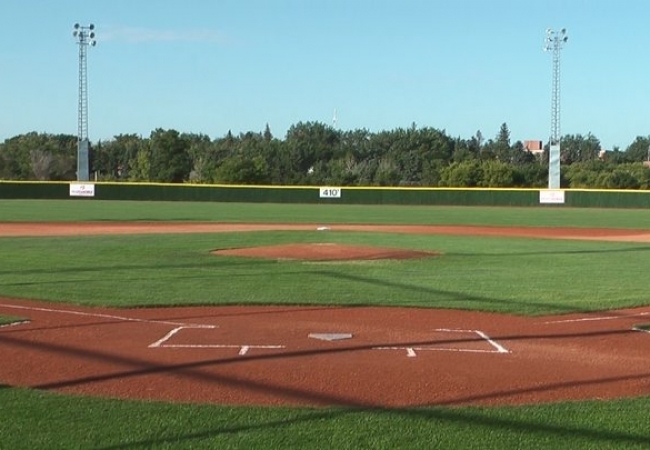 Optimist Baseball also supplied facilities for championships hosted by Little League Saskatchewan including Senior Little League and Big League Canadian Championships. We have sponsored High School Baseball for 16 years and in 2013 began as a league sponsor for Optimist High School League and hosted practise seesions for the World's Children;s Baseball Fair and were the site for the wind - up ceremonies and game. Regina Optimist Baseball is dedicated to the support of Minor Baseball in Regina through sponsorship of leagues and teams and through delivery of a top flight baseball facility.